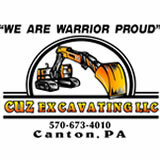 Click on the link below to view Canton Warrior Athletics! Thank you to the Co-Sponsors who made participation in the website possible. Passes may be purchased in the Administrative Office or at the FIRST home event. For initial physical for the school year, fill out, making sure you and your child sign and date in all appropriate places, Sections 1-5. Section 6 must be filled out by the physician conducting the physical. For all subsequent sports played in a school year, fill out Section 7. Only if an injury or illness occurred that required a physician's car, does Section 8 need to be filled out for subsequent sports.